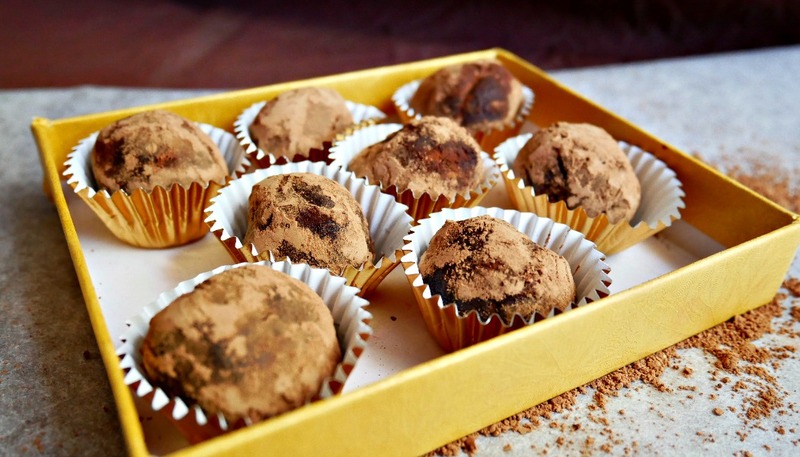 Gorgeous, these truffles are the dream of chocolate fitness NUT 🙂 You can have them with great pleasure and without guilt (I forgive you, I’m erasing calories ha ha), because they are a great combination of protein, carbs and fats. High fiber content for regular stomach. Eat, train and po** – recipe for flat stomach ha ha! I prepared the truffles with 2 different proteins – plant protein and whey isolate. Everyone can try, depending on his/her understanding. I tested the truffles on different people, and here are the comments. With lupin (vegan variation) – very tasty, yummy, just like store-bought. The reaction was “Yours are better than others!” (the others are the store-bought). I like this option more. 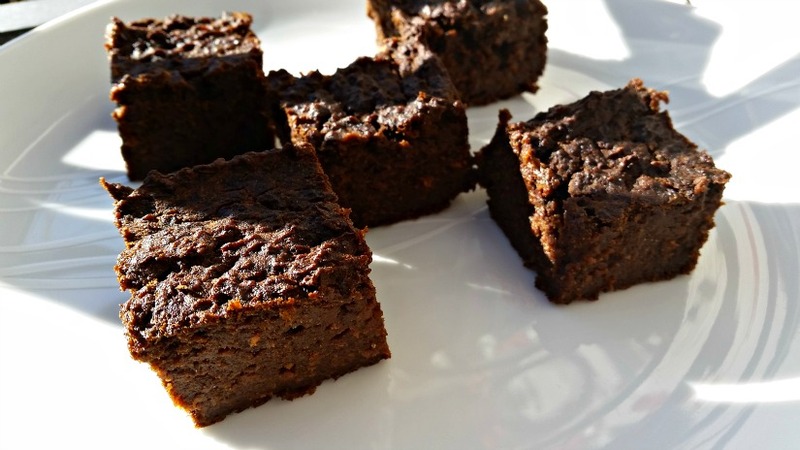 With whey protein – again mega delicious. It’s like milk chocolate. The test group liked this option more. They said it melted in the mouth. In a non-vegan version, it has been necessary to increase the whey protein and cocoa to compensate the lack of fiber in the whey protein, because the lupin protein contains many fibers. Without increasing the quantities, the dough was rare for making candies. Cocoa butter is grated or, in my case, it is chopped with a spoon in the jar and put into a small casserole standing on the kitchen scales. I was digging until I got 50 g sawdust. 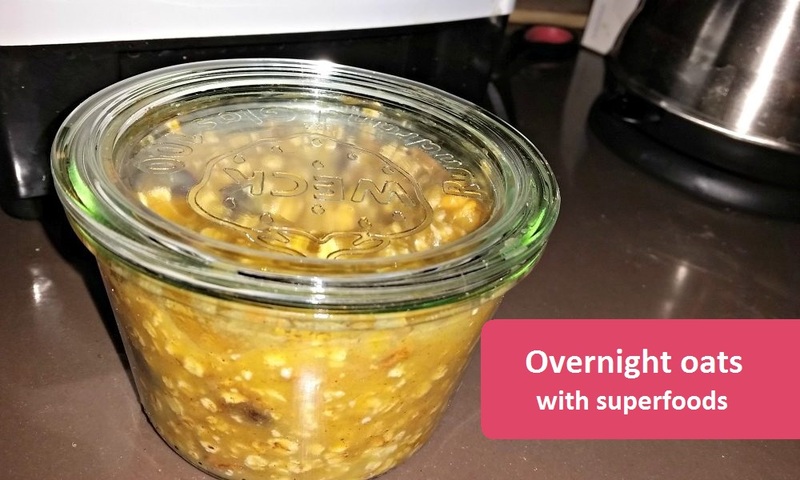 Place the casserole in a container with very warm water and wait until the cocoa butter is melted. This is a bit slow, so I put the casserole for a minute on a hot plate. I want the cocoa to remain raw, so I don’t keep it in on the plate, just for a short, just enough to warm the pot. Since the cocoa butter is on sawdust, it melts very quickly. Then add maple syrup (or honey, but it has to be liquid), stir and add the protein. Finally, the cocoa is added and mixed until homogeneous mixture. Use spoon to take out the mixture and form balls with hands. Truffle dough is great, soft and does NOT stick at all. If a little dough remains on the fingers, squeeze it to the ball and it immediately sticks to it. 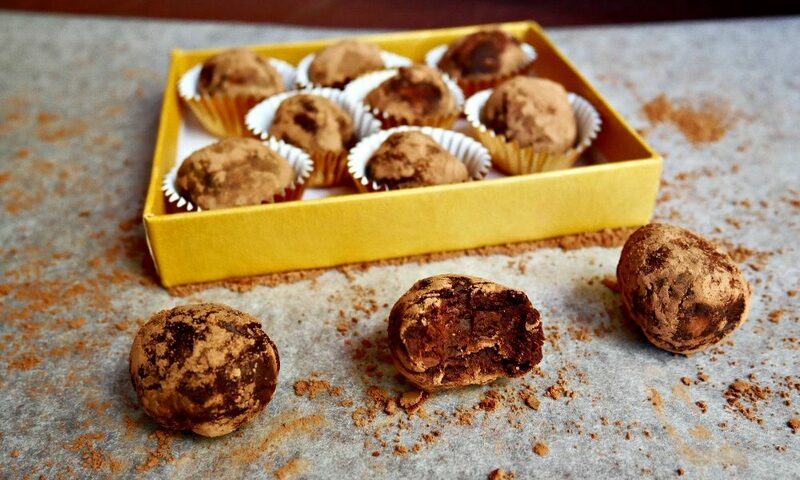 Truffles are very easy to make. 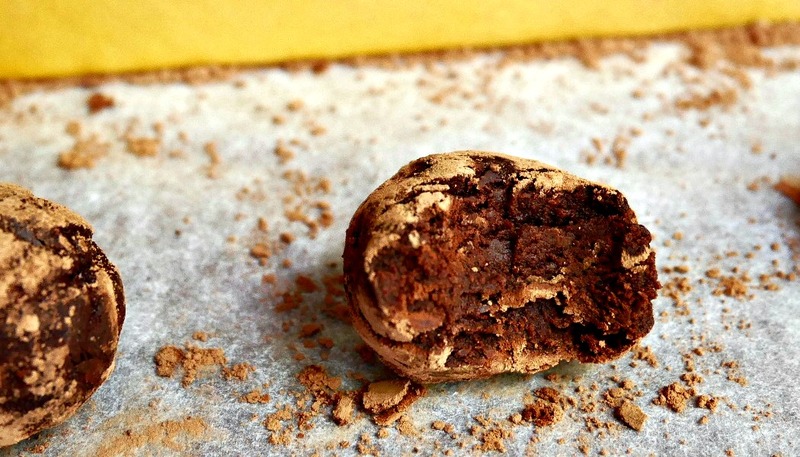 Put cocoa powder in a small bowl and roll each truffle either with a spoon, or swinging the bowl backwards. I tried both ways, they work. While they are cooled, part of the cocoa is absorbed in the truffle, so for a better view, you can roll them in cocoa again before serving. This is what I did the next day, before I took pictures. 1.9 g protein WOW nearly 2 g in 1 small ball! 4.5 g protein WOW protein bomb in 1 small ball! Do you want to eat truffles and other of your favorite foods and get fit? Yes, it is possible 🙂 Send me an e-mail with just 3 words “I Want Change” and we start working for your change now and forever. Here you can see readers pictures before-after. This is a description of the individual program.